Breathe & See the Giant Mandala of Reality. Mandala: a geometric figure representing the universe in Hindu and Buddhist symbolism. “The continual stream of new discovery, revelation and inspiration which arises at every moment is the manifestation of our clarity. We should learn to see everyday life as mandala—the luminous fringes of experience which radiate spontaneously from the empty nature of our being. 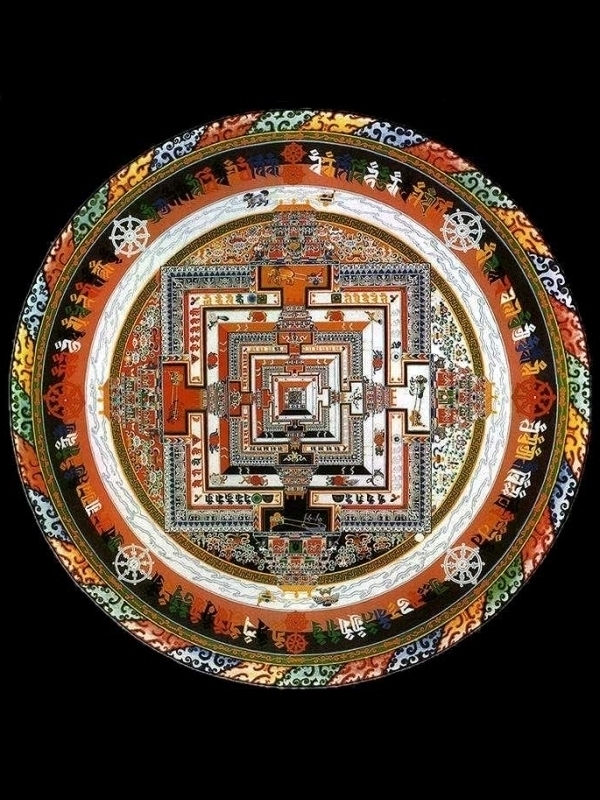 The aspects of our mandala are the day-to-day objects of our life experience moving in the dance or play of the universe. By this symbolism the inner teacher reveals the profound and ultimate significance of being. Therefore we should be natural and spontaneous, accepting and learning from everything. So, once we see our struggles and fears as just a tiny part of this giant maze of illusion, occurrences and mundane existence, we achieve the ability to see all things as just phenomena. Our feelings, our trials, and the turbulence that can lead to suffering is diminished or reduced by our profound ability to find humor and grace in the human condition.Our human condition. We are not alone, so breathe! We are small seams in the giant ruching that composes the folds of the universe. In order to get out of a maze, you have to—-in the words of Pema Chödrön—start where you are. So say a prayer and laugh a little. Mesmerized by the sheer variety of phenomena, beings wander endlessly in samsara's vicious dance. In order that they may find comfort and ease in the luminosity and all pervading space of the true nature of their minds I generate the immeasurable love, compassion, joy and equanimity of the awakened mind.